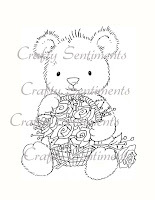 Here is a card I created for Sunday's SCS Featured Stamper Challenge #FS153, featuring WENDY who has such a FUN Gallery! I was inspired by Wendy's rich card colors, it's golden touches and the leaves. 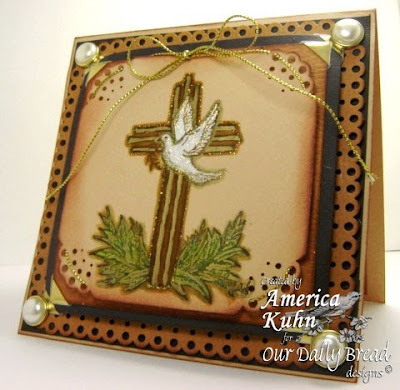 I used this beautiful Cross from new stamp set by ODBD called "Confirmation" to create this card. Finally, at the Cuttlebug Challenge Blogspot Blog, we offer you daily inspiration. We feature various papercraft projects, Home Decor Ideas, Gift Giving Ideas, Cards, Cards and more Cards, Scrapbooking layouts and designs, tutorials, tips and tricks, New Product Reviews, Challenges, etc... etc... Check us out! You will NOT want to miss 1 single day! As of last Thursday, Cuttlebug Challenge Blogspot ran the first edition of “Sweet Treat Thursdays” where the fabulous Sweet Treat Team will feature delicious designs to tempt your taste buds using your favorite tools like; Cricut, Cuttlebug, Your Story, Gypsy and the Yudu Machine :) Along the way they will offer you some yummy prizes and even have guest designers from time to time to share their ideas. All prizes are Donated by our Sponsor Provo Craft. It doesnt end there. The “Sweet Treat Thursdays” team has A HUGE Prize for the month of January, and its not just for ONE but for TWO Cricut CARTRIDGES!! That's right, 2!!! Whohoo!!! These are: 1. Every Day Paper dolls and 2. Simply Sweet! :) Amazing Prize huh?!!!! The touches of sparkle and the gold cording is beautiful America! It really sets off the design so well! Gorgeous creation love the overal antique effect..stunnning. It really sets off the design so well! What a gorgeous card! Wonderful job! Those upcoming images are so cute!! This card is just amazing!!! Love all the punch work, gorgeous colours and vintage feel!!! This is gorgeous America!!! I just love gold accents on the corners and the cording! Gorgeous design!! So elegant!! GORGEOUS!! Your cards have been off-the-chart fantastic, America!! So glad you're able to play with the Breadsticks for a while! Truly an awesome card. BEAUTIFUL!!!!! Just amazing America!!! This is another stunning creation and I love it! Sure love your corners and the punched work!!! Gorgeous!!! !